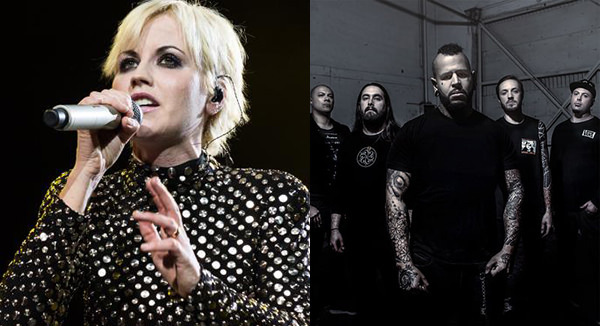 The Cranberries vocalist Dolores O'Riordan had been scheduled to join Bad Wolves in the studio in January to record vocals for the band's cover of The Cranberries' seminal 1994 track, "Zombie." Sadly, she passed away just hours before recording was to commence. When Bad Wolves released their "Zombie" cover later that month, the group vowed to donate proceeds from the track to O'Riordan's three children. Any notion of a mere token donation evaporated when the single rapidly climbed the charts, eventually topping the Billboard Mainstream Rock chart. Meanwhile, Bad Wolves' music video for "Zombie" has topped 80 million views on YouTube. True to their word, last night amid a performance at the Gramercy Theatre in New York, Bad Wolves presented a portion of O'Riordan's family with a check for $250,000. You can watch video footage of the presentation below.